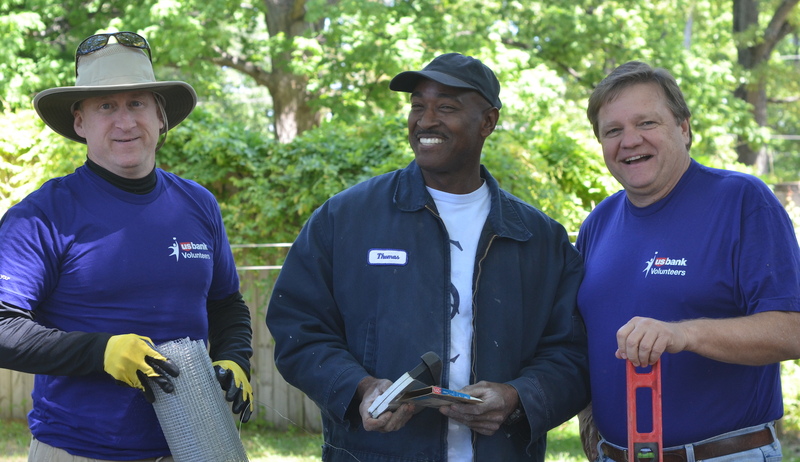 Mr. Kim (center), shown with volunteers, is a contractor partnering with Charis to renovate abandoned homes. As part of its mixed-income strategy to help neighborhoods succeed, Charis has set a five-year goal to help the South Atlanta neighborhood reach 60% in market-rate and workforce (moderately priced) homes and 30-35% affordable homes. Most South Atlanta homes are rentals, and 75% of lower-income residents are renters. About a third of the 2,000 residents are low-income. Charis’ current housing work centers on foreclosure remediation. Roughly 150 homes are vacant due to the ongoing foreclosure crisis. The organization buys abandoned properties, renovates them, and resells them to families as a mix of moderate-rate and affordable housing. Previously, Charis also built new affordable homes for families earning between 50-80% of the median area income. Eligible homeowners could make a down payment, put in some “sweat equity,” and receive a 20-year interest-free mortgage, made possible by donor funding. With residents asking for neighbors for the vacant homes, Charis put new construction on hold and asked a group of developers to find a creative solution. 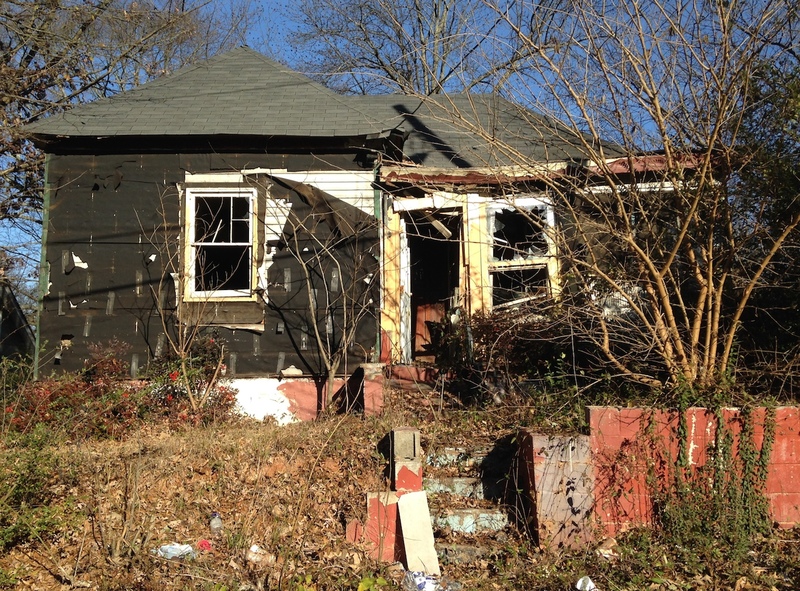 The result: an LLC (limited liability company) funded by investors, which enables Charis to purchase and reclaim several vacant houses at a time. An abandoned and stripped home. “Just about all of these vacant houses need major renovation,” Christy notes. The homes have either been neglected for many years, or were stripped by looters of copper wiring and other valuable fixtures, leaving huge holes in the walls. Charis can buy abandoned homes for around $25,000 and fix them up for $60,000 to $70,000. Because the funding comes from an investment pool and the ministry must be able to quickly buy foreclosed homes to secure them, the renovated homes are currently sold on the open market for around $120,000 to $132,000. To attract higher-income buyers, these moderate-rate homes include “nice finishes, such as solid countertops, tile bathrooms, and hardwood floors,” says Jim Wehner, executive director of Charis. The organization receives a fee from the sale when possible, and the remaining profit is reinvested back into the pool for the next purchase. Because of Charis’ relationships, even several lower-income families have been able to afford these homes, averaging about $125,000. In these cases, the purchase is made possible through partnering with two local housing counselors, who connect homeowners with federal down payment and mortgage assistance programs. “We had one single grandmother raising her children who at the end of the day paid around $60,000 for her two-story home!” says Christy. Previously, by providing its own loans for new affordable homes, Charis had developed long-term relationships with homeowners, says Jim. Staff have often become more than just the mortgage lender — they celebrate with homeowners when loans are paid off, and walk alongside them in times of hardship. Now, to maintain relationships with buyers of renovated homes (whose loans are from other lenders), Christy offers each a Charis welcome packet. The kits include a “South Atlanta” house sign from the neighborhood Civic League, along with letters from the Civic League president and Christy that introduce newcomers to neighbors, local history and resources, and ways to get involved. Although Charis’ interaction with homebuyers has changed somewhat, the current focus on foreclosure renovations has had many benefits. The LLC funding strategy opened the way for Charis to work with moderate-rate housing (which they hadn’t done before), while providing an excellent 3-4% return to investors. Most importantly, turning vacant properties into beautiful, moderately priced homes is luring new residents and lowering crime. The work has helped Charis move toward the goal of mixed-income housing throughout South Atlanta. “These homes are more affordable than market rate but let us bring in higher-income neighbors,” Christy notes. In turn, by lifting up the entire neighborhood, “That helps the true affordable homes to be sustainable” – ensuring that homes are available in a safe, strong community for families at all income levels. *Atlanta Habitat for Humanity, which partners with Charis in South Atlanta, builds homes for residents below 50% of median income. The story of how FCS Urban Ministries and Charis began is featured on pages 81-86 of Making Housing Happen. Read an excerpt of the chapter here, and purchase the book from Wipf and Stock Publishers. un association pour votre ordinant , assurez-toi de laquelle toi-même avez lesquelles spécifications environ l’exécuter .